"what precisely is the kingdom of God? There is is no simple answer to this question. Everything Jesus said and did is in some way related to the kingdom of God. 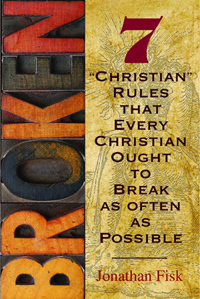 It has to do with the rule of God in the lives of individuals and societies. The Lord's Prayer includes the words, "Thy Kingdom com," which obviously looks to a future that is unfolding. Yet the kingdom has already come in Jesus Christ who said, "But if it is by the finger of God that I cast out demons, then the kingdom of God has come upon you" (Luke 11:20). We live in the interim between the inauguration of the rule (kingdom) of God in the coming of Jesus Christ and its completion at the end of history. Our struggle for peace and justice is part of our discipleship as we work for and await the coming of that kingdom on earth as a gift of God. In this Beatitude Jesus declares that the poor in spirit already possess the kingdom. Many people at the time of Jesus used the phrase the kingdom of God to describe a Jewish state where God alone was King. In contrast, Jesus declared that the kingdom was already present in the poor in spirit (not among the Zealots). The Old Syriac translation of this text reads, "Happy it is for the poor in spirit, that theirs is the kingdom of heaven." As mentioned, the second line is not a reward for the first line. Rather the poor in spirit already posses the kingdom. That is why, when we obey our Lord Jesus Christ and proclaim repentance and the forgiveness of sins, in His name to all nations (Luke 24:46-47) we are in fact heralding the kingdom of God, because only the poor in spirit already possess our Lord's kingdom.